With its stunning vista overlooking the Pacific Ocean and Linda Mar State Beach due west, Pedro Point to the south, and the Rockaway neighborhood and Mori Point to the north, Roberts Road in Pacifica is a popular hangout paralleling above Highway 1 where locals and visitors take in the fresh salt air or catch a birds eye view of the surf, the scenic landscape, and breathtaking sunsets that bestow in the southern end of our coastal community. This cleanup site’s popularity brings incidents of improperly disposed litter along its curbs, gutters, roadside and vegetation. Roberts Road can be considered one of the Pacifica’s ‘hot spots’ always in need of tender loving care. Site Captain: Meet “Dig it” Dave Martinez (and his cute pooch Celia). 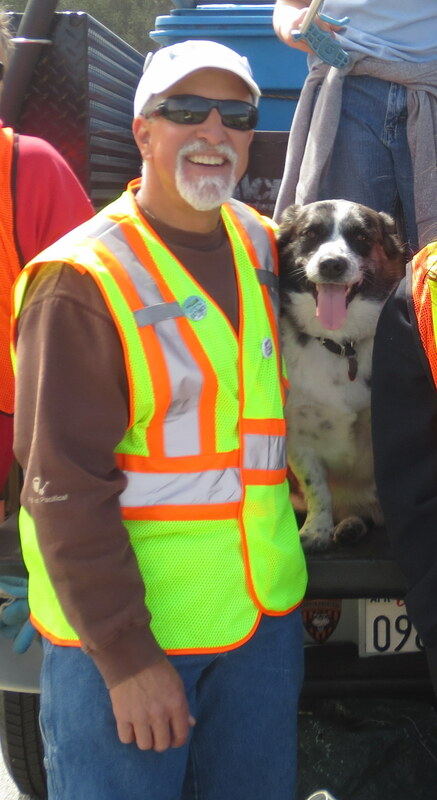 He is a lifelong resident, and since 2009 has made a commitment to building and leading a dedicated Earth Hero team who routinely join him to steward this site to ensure it is a litter‐free zone. In 2014, he was recognized by the California State Assembly for his pioneering leadership with the Pacific Beach Coalition and the City of Pacifica’s Beautification Committee, for adopting this “hot spot” and bringing his talent, passion and professional knowledge in sustainable landscaping to protecting and preserving our coastal native habitat. When you join Dig it Dave at a Roberts Road Team cleanup, you’re learning from his many years of hands-on acumen, resourceful skills and creative talent in native landscaping, sustainable gardening techniques and organic practices. Time: Held every year during Earth Day of Action in April, and during Coastal Cleanup Day on the third Saturday in September. Additional cleanups take place throughout the year in the spare of the moment when needed. Check for announcements, sign up for our e-News for the latest, and check our monthly calendar for exact dates. Rain may cancel cleanup. If you’ve registered in advance, you’ll receive a cancellation notice. If you have not registered, check our calendar for the latest information. 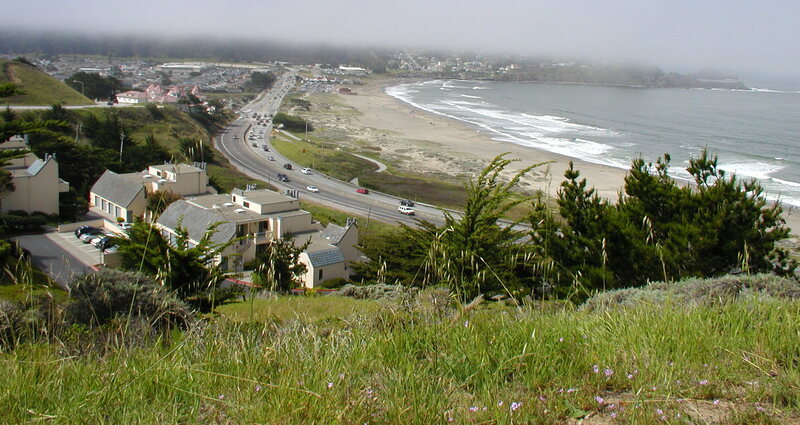 Where to Meet: South of the gray condominiums overlooking Linda Mar Beach. Parking: Lots of free parking along both sides of Roberts Road. Be aware of and take precaution of the blind spots where the road bends when deciding where to park and walking along the roadside and sidewalks. Cleanup Areas: Curbs, sidewalk, gutters, storm drains, roadside, and vegetation along Roberts Road from Crespi Drive to Fassler Avenue approximately 50 to 100 feet up and down the hillsides. Supplies: Volunteers are encouraged to bring their own buckets and reusable work-type gloves. Bring a grapper or pick up stick if needed. If you own a safety vest, bring it! Extra gloves, buckets, pickup sticks and specific tools for this site cleanup will be provided while supplies last. Because we are never sure of the weather, make sure to bring extra layers, a hat, sunblock, water and snacks. Litter: Expect to pick up cigarette butts, bottles, cans, paper, lunch time items, fast food wrappers, as well as the unexpected as the Robert Road’s beautiful vista is enjoyed by visitors who take in the view, eat and drink, smoke and sometimes (unfortunately) discard their home trash. 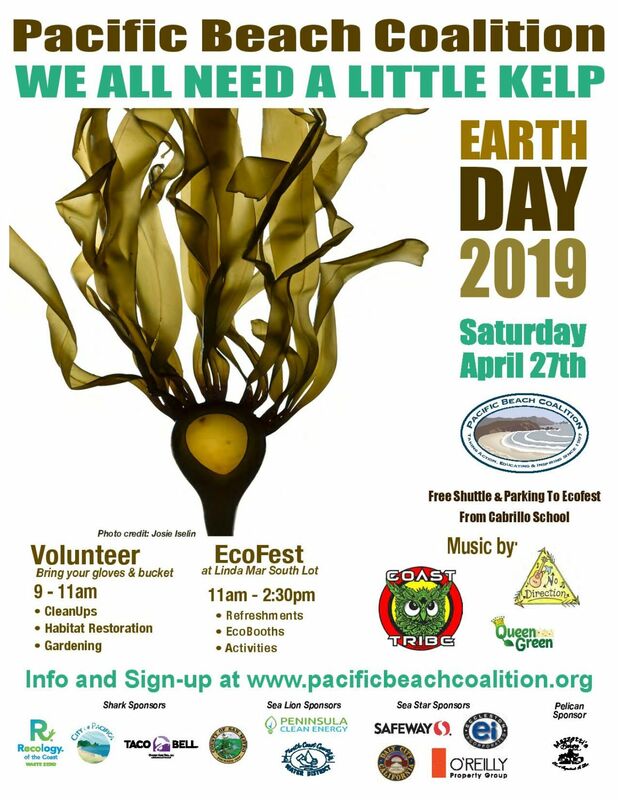 Restrooms: No, however the closest restrooms are located at the nearby hotel, Pacifica’s Community Center, and other neighborhood eateries within walking distance of the cleanup. Moving Vehicles: Safety is our #1 priority. Roberts Road is a busy street with fast cars traveling up and down, and winding around its inclines and declines. Extreme caution should be taken when crossing the street. Children under the age of 18 must be supervised by an adult. The team wears safety vests, though supply is limited – if you own one, please bring it. Be aware poison oak is found along the hillside at the north end of Roberts Road near Fassler overlooking Rockaway Beach. Bring your own gloves for protection. Dogs: Not advised at this site cleanup, however if they come along, they must be on a leash at all times. Please be responsible and pick up your dog waste. Read About the Team In Action: Check out the Roberts Road Team blog. 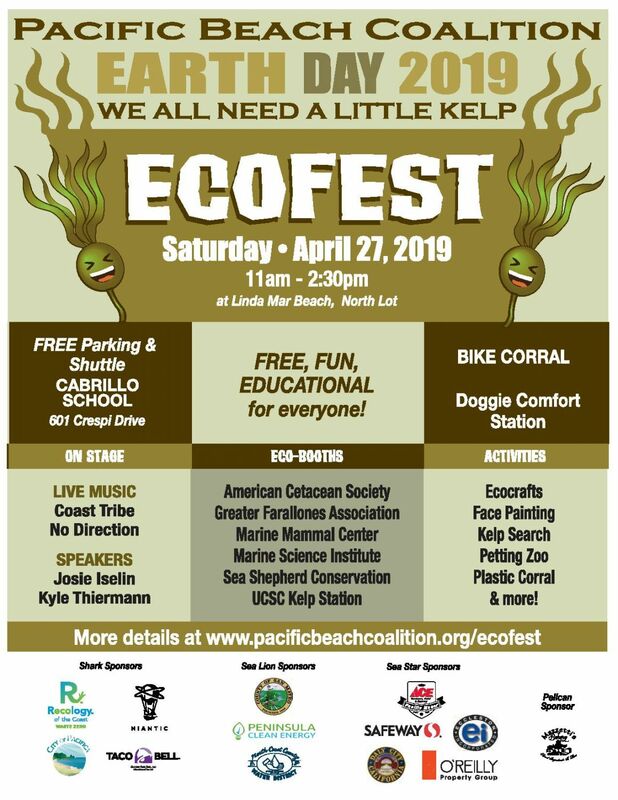 Directions: From Highway 1 north, you may take either of two ways to reach Roberts Road; one way, turn right at Crespi Drive (at the Pacifica Community Center). At first stop sign, make left onto Roberts Road. The second way, turn left on Fassler Road (across from the Rockaway business district) travel up the hill past Sea Bowl on the right, and take the first right onto Roberts Road.